The majority of us recognize an apple as a type of fruit that will “keep the doctor away” if we eat it on a regular basis. 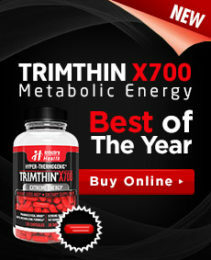 Many people include them as a regular part of their diet. However, these fruits are also used in medicine, including for weight loss. Apple can be identified in a formulation’s ingredients list under any of several different names such as: aeble, almindelig, apple tree, abilde, macieira, eble, echter, malus domestica, malus sylvestris, malus pumila, malus malus, jablon domaca, iablonia, iabloko, apfelbaum, and a large number of others. In terms of their medicinal use, apples are most frequently used for issues such as the control of constipation or diarrhea. It can also be used for gallstone softening, passage and collection. Many people use these fruits to help in lung cancer prevention, among other cancers. They can also be used as one of many components in the treatment of certain cancers as well as dysentery, diabetes, warts, fever, heart issues and scurvy (vitamin C deficiency). There are even some people who use apples in order to help keep their teeth clean. 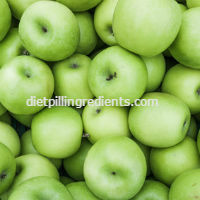 The main active ingredient within apples is pectin. That substance is believed to help to provide the stool with bulk in the treatment of constipation and diarrhea. They also contain certain other chemicals which seem to have an antiseptic effect for certain types of bacteria. Ursolic acid is found within the peel of the apple and it may have some role in metabolism and muscle building, which helps to explain why some people feel it will influence weight management in some way. Though it is sometimes used for the treatment of small intestine ulcers, research has indicated that this usage may not be effective. Moreover, there has yet to be adequate evidence to support the use of apple for hay fever, sneezing, swelling in the nose, hair loss in men, and as a cancer treatment. Technically speaking, there has yet to be adequate evidence to prove its effectiveness in the treatment of diarrhea, though some early research has indicated that combining the use of German chamomile and apple pectin in an oral remedy may help to reduce the number of stools in a child patient with diarrhea. That said, research on infants has shown that drinking apple juice may actually worsen the instance of diarrhea. Before taking apple as a remedy for any specific condition, speak with your doctor.